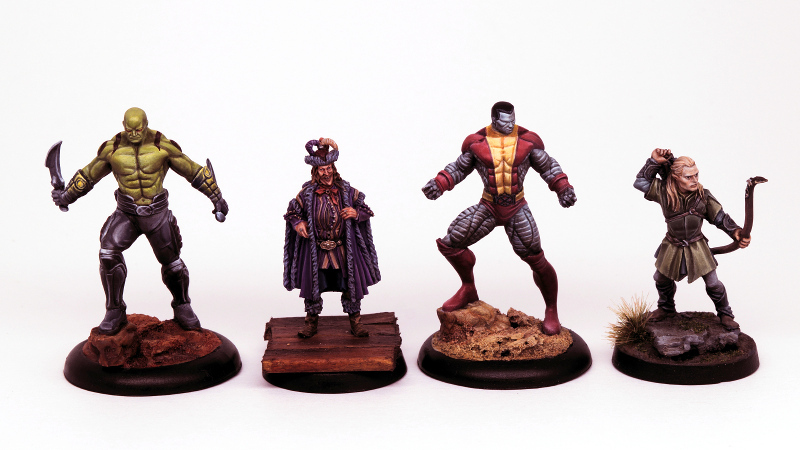 The inhabitants of Middle Earth are a modest bunch and rarely go outside without covering up every inch with clothing, armour and facial hair. 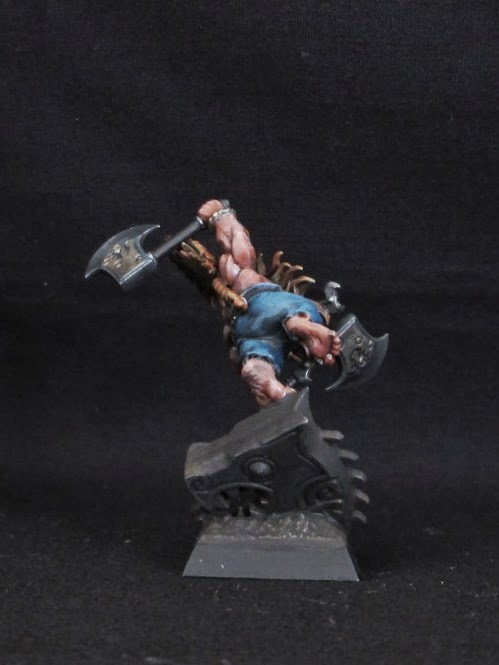 For me this is a shame as painting skin is one of the hobby's great pleasures. 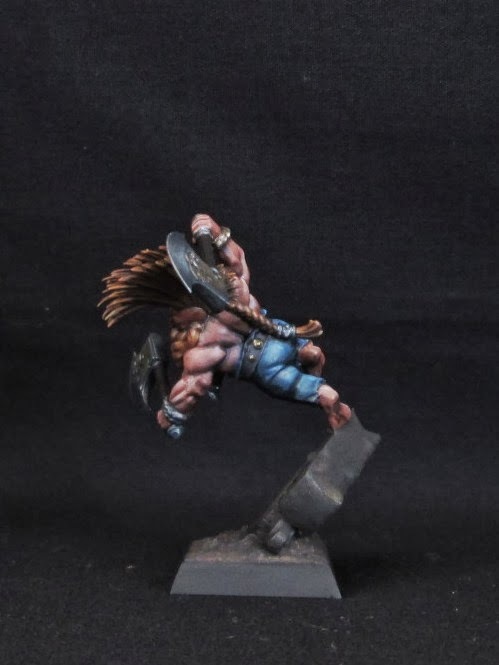 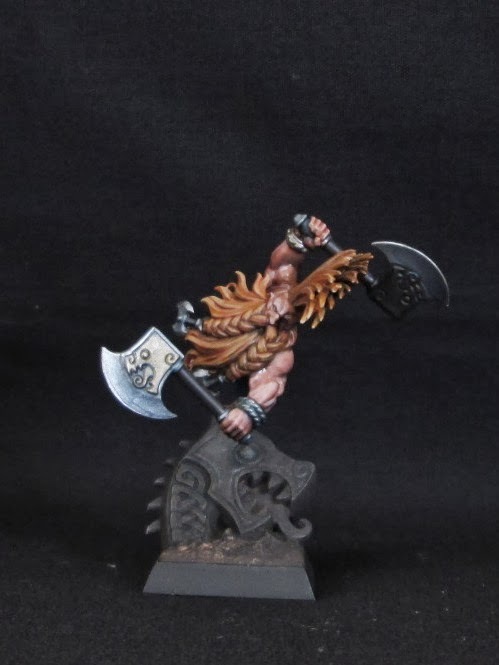 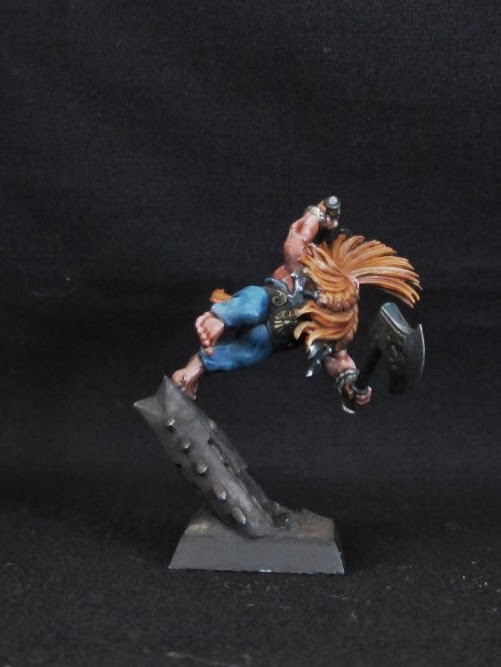 Fortunately GW have recently released a muscly, bare chested dwarf that's in a crazy pose for added difficulty.